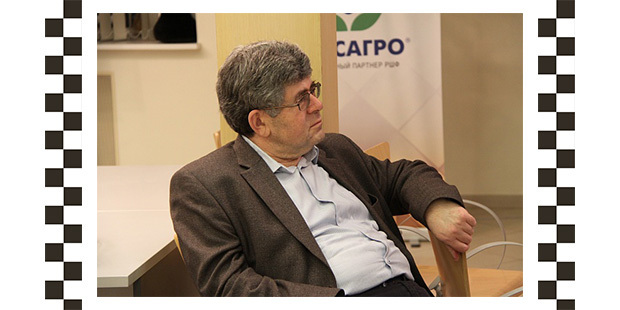 It was announced today, that International Master Mark Izrailovich Dvoretsky, has died. Born December 9th in Moscow, Dvoretsky is perhaps best known to modern chess players as an esteemed and trusted chess writer. Often in collaboration with his pupil, Artur Yusupov, his Dvoretsky School series are pride of place on the shelf of any serious chess student. Dvoretsky was an esteemed player, also, having achieved the International Master title in 1975. It was that same year, that he won the Wijk aan Zee Masters tournament by a clear point and a half. However, for his own reasons, Mark chose to focus on chess training rather than playing. Artur Yusupov credits much of his success to Dvoretsky and other pupils include the likes of, Kasparov, Topalov, Bareev, Anand, Van Wely. To me, he is someone who can seriously be regarded as a chess lover, who dove as deep in to the game as he could, without the motivation of rating points or titles. It seems that this was as much to help others as it was to satisfy his own curiosity. Who knows how far he could have gone had he concentrated on competing, having given the likes of Tal, Keres and Bronstein a good run for their money. And, as in the following game, which I offer as a tribute, former World Chess Champion, Vassily Smyslov. My sincere condolences to Mark’s friends and family.